Welcome to Day #5 of Chocolate and Peanuts Theme Week. 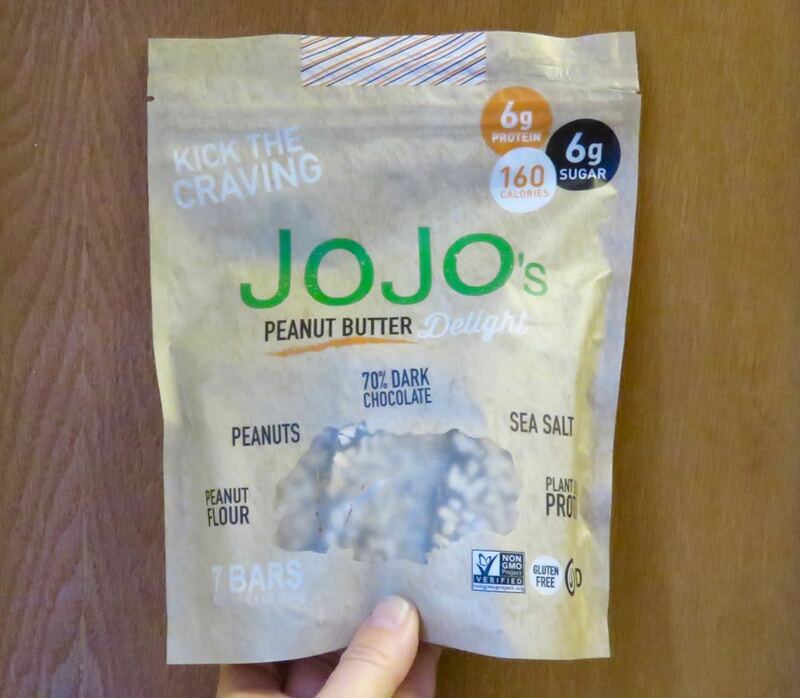 Today's package of Peanut Butter Delight bars were from JoJo's Chocolate LLC (Orem, UT). These satisfying* bark-style, rectangular bars, with just the right amount of crunch, were made of 70 percent dark chocolate, peanuts, hemp protein, peanut flour, sea salt, and "organic peanut butter flavoring oil." 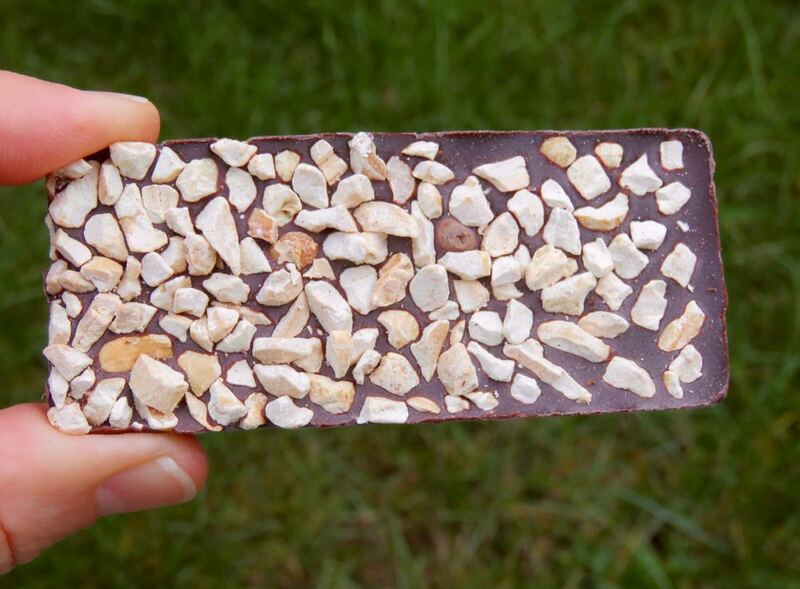 While not individually wrapped, these bars would be great on a hike. Wrap them in some dry greens, or tuck them into a tiffin or bento box or baggie. They'll fit right in with almost any snack choices, and as long as they're protected from heat and, as with any chocolate, the possibility of melting in your pocket. *Each dark chocolate bar contained only 6 grams of sugar (and no other sweeteners). And the 6 grams of protein helped fulfill the company's tagline "kick the craving."